The group meets on Wednesday evenings at 7:00 to listen to and learn Scripture. In each session we study a different book of the Bible. 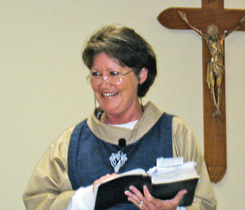 Sister Brigid unpacks the verses, and we open ourselves up to a deeper understanding of our faith through the written Word. 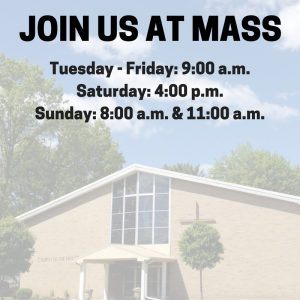 If you would like additional information about the various Bible study groups at Church of the Holy Family, please contact Sister Brigid via email at sr.brigidomahony@gmail.com.